Before we begin, Welcome to Revelation Speaks Lesson series. I am glad you have chosen to study the book of Revelation with us. If this is the first time you have seen this series, then I invite you to review the other lessons before completing this lesson. With each lesson building on what has been taught in previous lessons it is important to start at the beginning. You can click here and it will take you to the introduction page and previous lessons. At the end of this lesson I have my email listed so you can submit additional questions on this lesson or any previous lesson. Now let us begin! From the foundation of this world, Christ the Creator, the Lamb “which is and was, and is to come,” was commissioned by the Father to especially minister to the inhabitants of Planet Earth (Revelation 13:18; John 5:36; John 6:38). 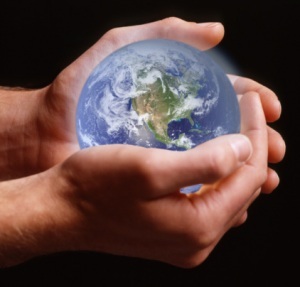 We are told that God the Father created all things by Jesus Christ (Ephesians 3:9). After the fall of man, God promised Adam and Eve that the seed of the woman (which is Christ), would bruise the serpent’s (Satan’s) head, and the serpent would bruise Christ’s heel (Genesis 3:15). Here we find a prophecy of God’s plan to restore fallen man to the family of God by the gift of His only Son to die as the sacrificial Lamb on Calvary’s cross! What unspeakable love the Father and Son have for the inhabitants of earth! Let’s take a closer look at Christ as He appears before John in the fifth chapter of Revelation. 1. What did John see when he turned to see who was speaking to him? Revelation 1:10 – 12. In Exodus Moses by the instruction of God gives us great detail on how the tabernacle was to be made. The word Tabernacle means: “to dwell with them” or in the case of the heavenly Sanctuary it would be place where God dwells. 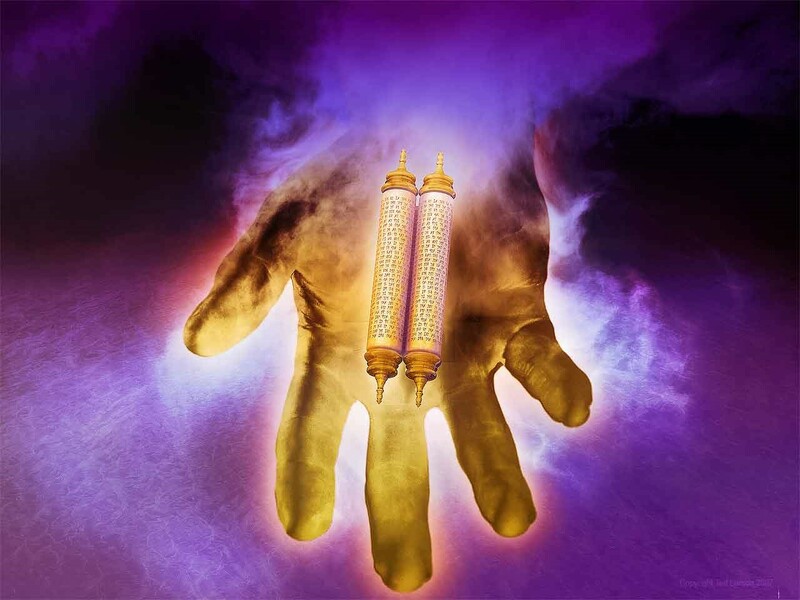 Exodus 25:31-40, goes into great detail on the construction of the Golden Lamp Stand which is a representation of the golden candlesticks of heaven. NOTE: We are told that the seven golden candlesticks which John saw in vision represent seven churches (Revelation 1:20). When Moses was instructed by God to build a sanctuary in the wilderness, God gave Moses explicit details: “And let them build me a sanctuary; that I may dwell among them. According to all that I show thee.” (Exodus 25:8 – 9). In the rest of Exodus 25 and on through chapter 31, God tells Moses exactly how to build the sanctuary, how it was to be furnished, the minute details of how the priests were to minister there, and what they should wear, etc. 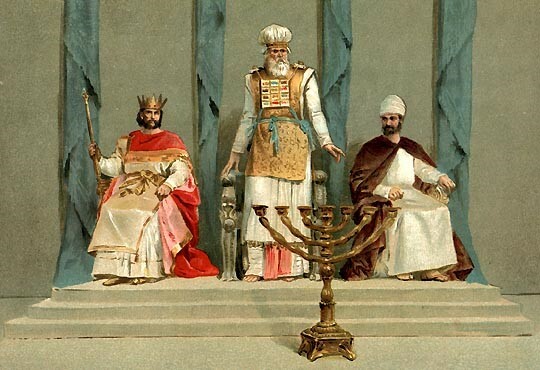 The golden candlesticks were a part of the furnishings of the Holy Place – the first section of the Sanctuary. 2. Whom did John see standing in the midst of the seven candlesticks? Revelation 1:13 – 16. In our first lesson we read this verse. Revelation 1:16; He had in His right hand seven stars, out of His mouth went a sharp two-edge sword, and His countenance was like the sun shining in its strength. V. 20. 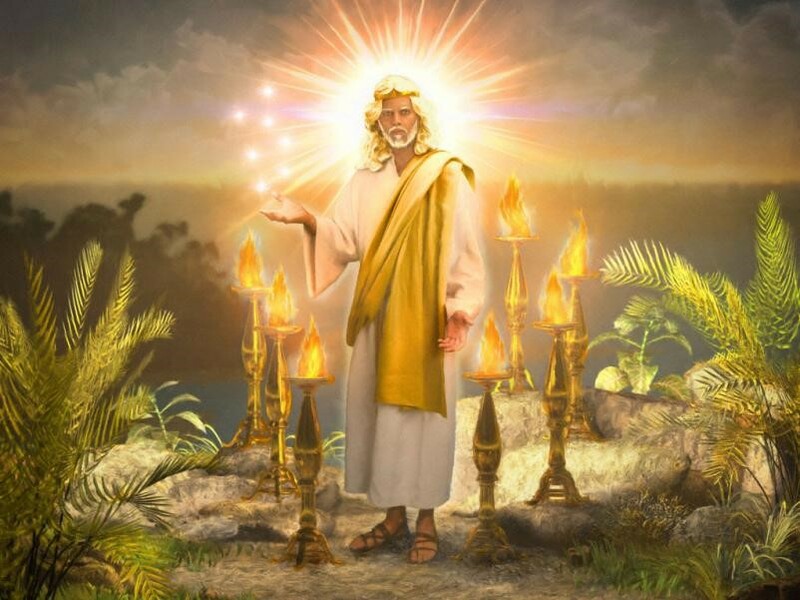 The mystery of the seven stars which you saw in My right hand, and the seven golden lamp stands: The seven stars are the angels of the seven churches, and the seven lampstand which you saw are the seven churches. A sharp two edge sword. Sounds frightening doesn’t it. The sword is first mentioned in Genesis 3:24 which came just after the fall of Adam and Eve. The sword stood in judgment of Adam and Eve because they had transgressed the law of God. The first Edge of the sword represents Christ’s authority to judge and the second edge of the sword stands for God’s word. Hebrews 4:12 states; “For the word of God is living and powerful, and sharper than any two-edged sword, . . . . a discerner of the thoughts and intents of the heart. John 1:1 makes it clear that “In the beginning was the Word, and the Word was with God and the Word was God.” Christ instructed Moses on the construction of the tabernacle and God’s law, his 10 Commandments are referred to I John 2:7; I write no new commandment to you, but an old commandment which you have had from the beginning. The old commandment is the word which you heard from the beginning. What is the word we have heard from the beginning? That would be the commandments of God. Instituted in heaven and given to our first parents, Adam and Eve. They were relevant then and they are just as relevant today. NOTE: Here John caught a glimpse of Jesus ministering in the heavenly sanctuary on behalf of all mankind. The sanctuary that Moses built for God was a copy of the one in heaven. The heavenly sanctuary was the pattern of the earthly sanctuary. “For Christ is not entered into the holy places made with hands, which are the figures of the true; but into the haven itself now to appear in the presence of God for us. “Hebrews 9:24. NOTE: John was so overwhelmed by the scene that he fell as a dead man. Then Jesus tenderly laid His right hand upon John and told him not to be afraid. John recognized that voice – the voice of his dearest Friend and Saviour. What a touching moment! What joy must have filled John’s old tired heart! No one or anything on this earth deserves to be worshipped other than God! He is our creator, redeemer and as such He is deserving of our worship. 4. Describe what John saw happening in the sanctuary. Revelation 5:1-4. Answer: A scroll written on both sides and sealed with seven seals and the strong angel couldn’t find anyone to open the scroll. a. What is this scroll? Read Revelation 13:8, and Revelation 21:27. Answer: The answer is clear, this is the Lamb’s Book of Life and upon this book there are names written on both sides and the book is sealed with seven seals. Answer: Some believe it could be Gabriel one of the Arch angels or perhaps another. The description in Revelation 10:1 really has me wondering if this is a description of God Himself or rather of Jesus. Why would I think this? Ezekiel chapters 1 and 10 give us descriptions of God’s throne and above that throne is a rainbow. The description given to John also uses a rainbow, making one wonder if this was Jesus. 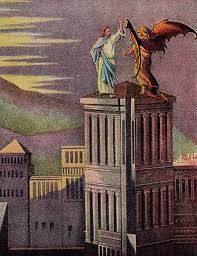 Angel is another name for minister or messenger and here Christ is pictured as a might messenger. NOTE: John wept much! This precious old saint was so disappointed and saddened by the thought that no one was worthy to open this very important book that he broke down and wept greatly! Who is this Jesse? The Father of David, the Grandson of Ruth and Boaz. See Ruth 4:18-22 for the genealogy of David. We also see Jesse’s name mentioned in I Samuel chapter 16 in which Samuel goes to Bethlehem and anoints Jesse’s son David to be the next king of Israel. * See below for art work credit. 6. What was the next event John saw in vision? Revelation 5:6, 7. Answer: Throne, slain lamb, 4 living creatures The Slain Lamb had seven horns and seven eyes. John saw into the heavenly Sanctuary into the Holy Place. 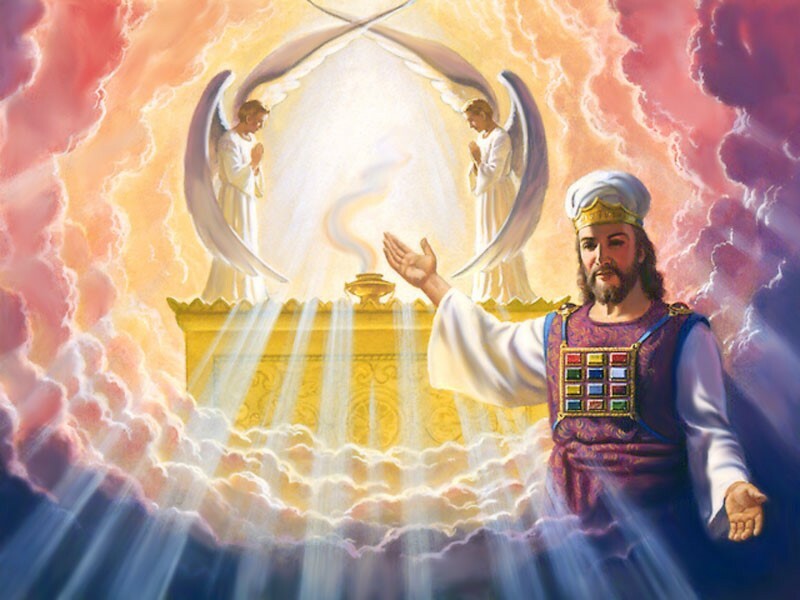 In the Old Testament tabernacle the Most Holy Place is where the ark is and upon the ark was the mercy seat. This is where God dwelled when he was in the presence of the children of Israel. But it appears this scene take place in the throne room of the Holy Place. So we can reliably assume that these events are taking place in the Holy Place and there is a lot of symbolism happening. 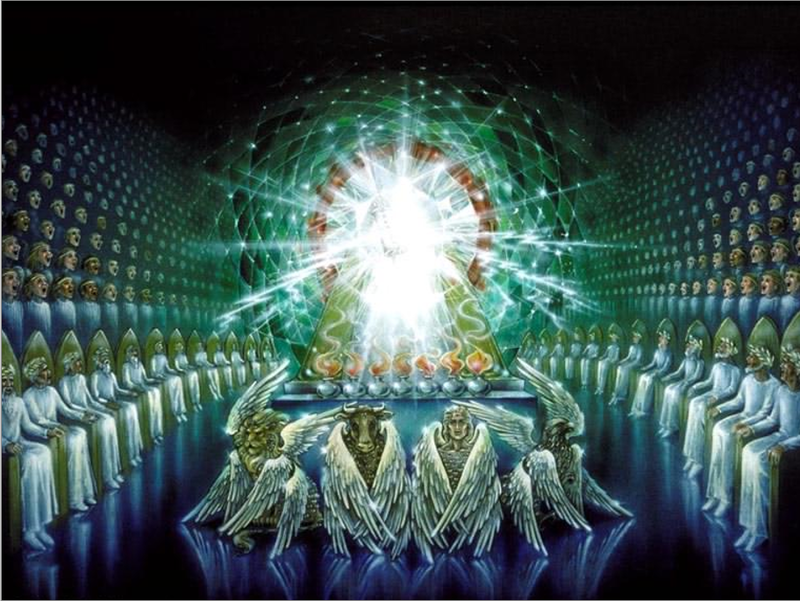 We have one in the likeness of a slain lamb having seven horns and seven eyes, which are the seventh spirits of God sent out into all the earth. As we have seen in previous studies in Revelation the number seven denotes completeness or fullness. The fullness or completeness of the church happened in seven stages from apostolic times till the time of Christ’s return. Now this lamb that appears to have been slain has seven horns and seven eyes which are the seven spirits of God. In John 1:36 John the Baptist calls Jesus “The Lamb of God.” Jesus ministered on earth for three and a half years before he was put to death during the Passover. We have also seen he died on the cross and according to scripture he died at the time of the evening sacrifice for the veil in the temple was torn top to bottom. (see Matthew 27:51; Mark 15:38; and Luke 23:45) The torn veil represented Christ fulfilling the meaning of the sacrificial system for He being the sacrificial lamb sent by God had now fulfilled what the sacrificial system had pointed to. The seven horns and seven eyes which are the seven spirits of God. What is trying to be said here? To answer that question we need to return the previous question where five where one of the elders said who could open the book. Revelation 5:5 John is told to now weep, behold the Lion of the Tribe of Judah, the root of David has prevailed to open the school and to loose its seven seals. I am going to come back to this scroll in just a minute, but first we need to finish the description, bringing in the seven horns, seven eyes which are the seven spirits. The seven horns and seven eyes, which are the seven spirits of God signify His divine power and ability to both rule and judge. 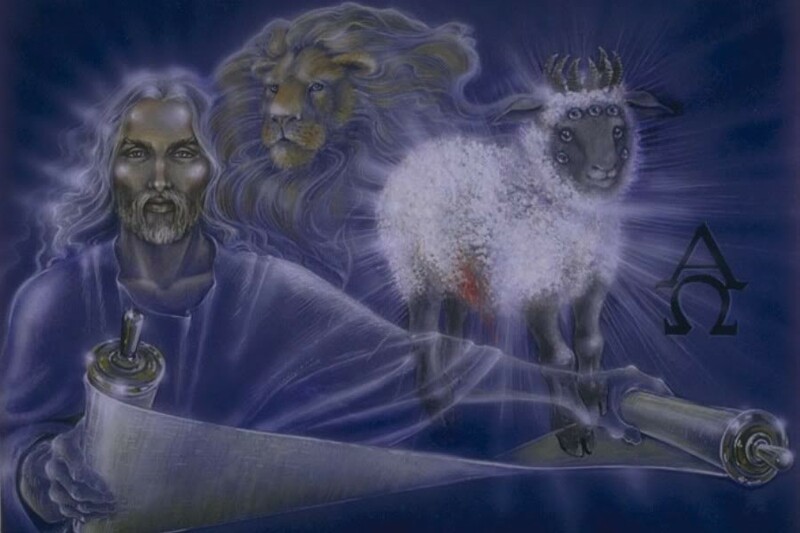 The fact that the Lamb has seven horns and seven eyes is especially significant in light of the fact that the scroll is sealed with seven seals. The seven Horn symbolizes Christ’s omnipotence and are related to his ability to take and open the seven sealed scroll. The seven eyes that stand for his omniscience are related to his ability to read the scroll and instruct his people in its contents. The seven spirits denote the fullness of the Holy Spirit who is sent into all the earth. And when do we see this great out pouring of the Holy Spirit in the Bible. This would naturally be at Pentecost, 50 days after Christ death on the cross. According to Revelation chapter 5 the Holy Spirit is directed in its work by Christ and this started on the Day of Pentecost and this is when Christ, the slain Lamb, the Lion of the tribe of Judea received the scroll from God the Father. Verse 7 is the climatic act of this chapter. “Then He (Christ) came and took the scroll out of the right hand of Him (God the Father) that sat on the throne. With this symbolic taking of the sealed scroll, the destiny of all humanity is placed into Christ’s hands according to God’s eternal decree. On the bases of His saving work completed by him, He is called to discharge with authority God’s plan for the end of History. 7. What did the beings surrounding the throne say when the Lamb took the book, and why did they say He was worthy? Revelation 5:8, 9. To be worthy to take the scroll denotes that he is now worthy of receiving praised and worshipped. Previously and angels and the 24 Elders had fallen down to worship Him to sat upon the throne, (God the Father). Now they fell down and worshiped Jesus. Deuteronomy 21:22-23; If a man has committed a sin deserving of death, and he is put to death, and you hang him on a tree, 23 his body shall not remain overnight on the tree, but you shall surely bury him that day, so that you do not defile the land which the Lord your God is giving you as an inheritance; for he who is hanged is accursed (cursed) of God. Side Note: If a person was accused of blaspheming God, they were to be hung on a tree. This is what the Jewish leaders accused Christ of this is why he died on a tree (the Cross). And in a sense this is what we do when we sin. We commit blaspheme against God and his law. Romans 8:3; For what the law could not do in that it was weak through the flesh, God did by sending His own Son in the likeness of sinful flesh, on account of sin: He condemned sin in the flesh. I Peter 1:18-19; Knowing that you were not redeemed with corruptible things, like silver or gold, from your aimless conduct received by tradition from your fathers, 19 but with the precious blood of Christ, as of a lamb without blemish and without spot. This is what made Christ worthy to open the seal and receive the adoration and worship of the heavenly throng. Jesus was found worthy for he was found incorruptible and was slain as a lamb without blemish. For Jesus was the lamb without blemish and without spot. His sacrifice had been found acceptable by the Father and as we saw in question seven, Christ became ruler of this earth and sent his spirit to strive with men by the direction of Jesus, the King of kings and Lord of lords. 8. 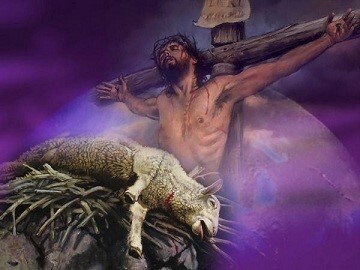 What has the “Lamb” done for us by His death? Revelation 5:8, 9, & 10, Revelation 1:5, 6. Answer: Redeemed us to God and made us Kings and Priests to our God. The prophet Isaiah reinforced this when he said; “But you shall be named the priests of the Lord, They shall call you the servants of our God. You shall eat the riches of the Gentiles,” Again the call by Isiah was for the people to follow the law of God. If you follow the Lord your God, then you shall be recognized as priests of the Lord and Servants of God. By Christ’s death and resurrection we are again restored as a special people, a chosen generation, loyal priesthood and a holy nation. Clear reading the texts listed above that the plan of salvation has been in existence since before the world was created. God took nothing to chance. He love the world so much that even before creating it He planed that should mankind fall, there would be a way to redeem fallen humanity, to reunite this fallen planet to Himself. NOTE: Revelation 5:9 says, “. . . for thou was slain, and hast redeemed us to God by the blood out of every kindred, and tongue, and people, and nation.” Could any news be more thrilling? Anyone, anywhere can be restored to the family of God if they accept Jesus as their Saviour and Lord. 12. What seven things do the thousands and thousands of voices say that the salin Lamb is worthy to receive? Revelation 5:11, 12. 13. Where did Jesus go to minister after His resurrection? Luke 24:50 – 53. 16. What reason is given as to why the saved are saved? Revelation 7:14. 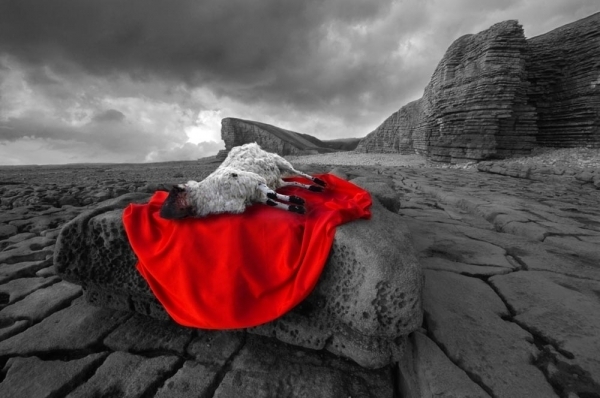 NOTE: What was washed away by the blood of the Lamb? Revelation 1:5 says, “. 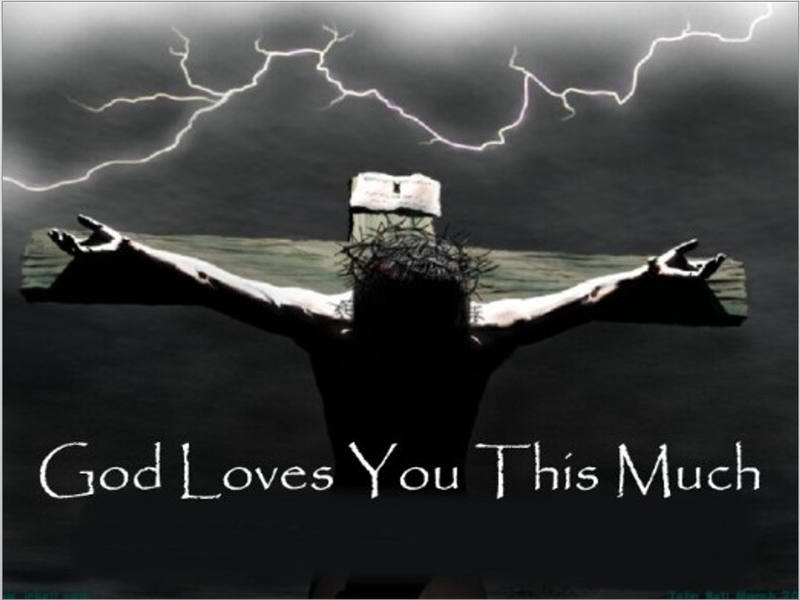 . . to Him who loved us and washed us from our sins in His own blood. 17. 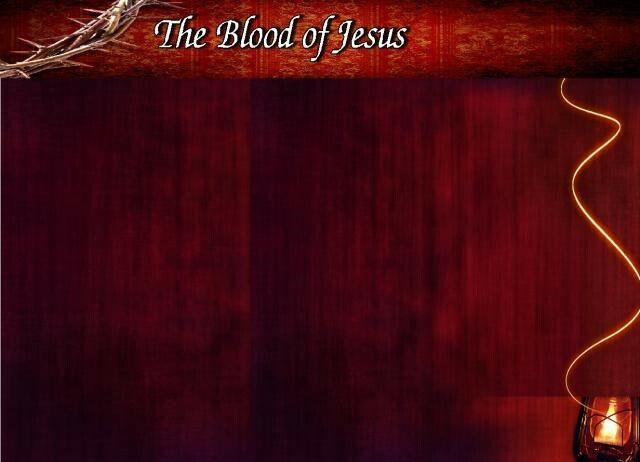 What must you do to wash your robe in the blood of the Lamb? c. Third, you must believe that Christ is the Son of God and that He died in your place on the cross as an atonement for your sins. John 1:12Of course, to believe in Christ is to be willing to trust Him as not only the Saviour, but as the Lord of your life. In other words, surrendering your life to Him completely. This doesn’t mean that once we are saved we are always saved. As the Apostle Paul said. Daily we must put self on the back burner and cling to what is important and that is a personal relationship with Christ. It is only through the Holy Spirit that we can gain the victory over self and find that our name is written in the book. ð I want Jesus to come into my heart and be the Saviour and Lord of my life forever. ð As I have studied this lesson my heart has been touched by the sacrifice of my Lord for me. ð I realize I am a sinner and I need Jesus’ blood to cover my sins. Hope you both enjoyed and learned from this and past lessons. If you should have any question regarding this lesson or pervious lessons, please email me at: pastor.lester.bentley@gmail.com. Please put in the subject line Revelation Speaks and in the email from what lesson your question from. I will do my best to answer in a timely manner. I hope you will continue to enjoy this series.